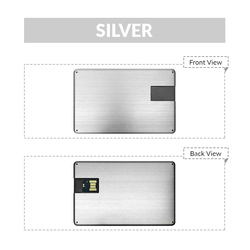 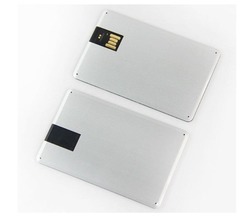 Metal Credit Card USB Flash Drive. 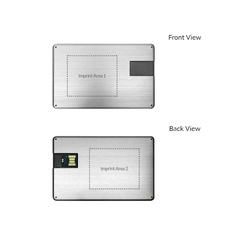 Metal credit card drive with flip style usb connector. 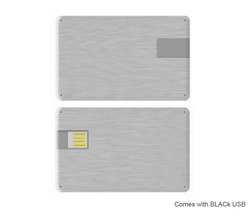 A great upscale version of our standard credit card drives. 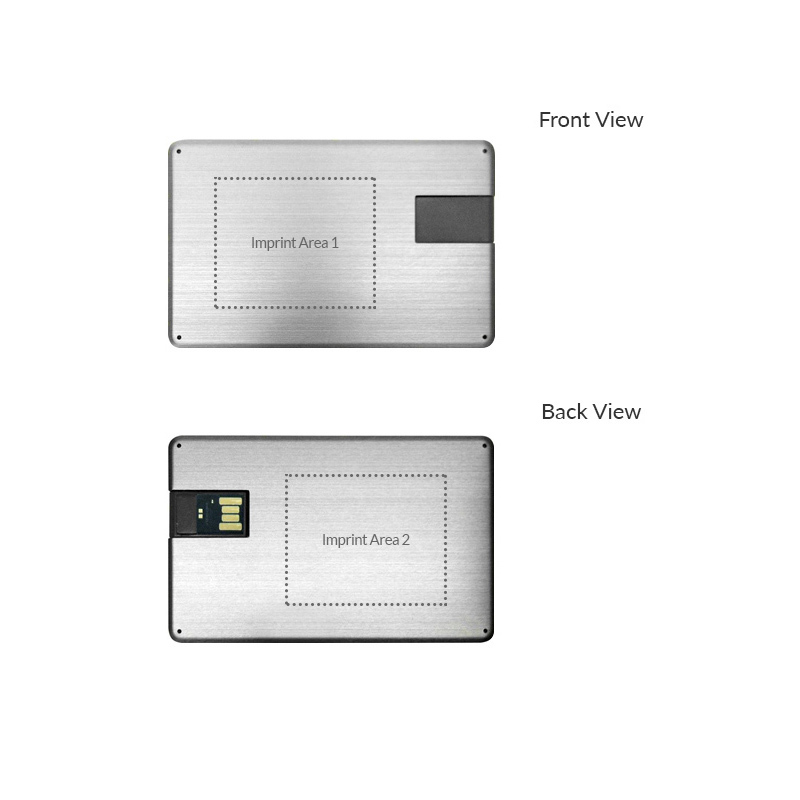 Imprint Size: 2.17" x 1.77"
Item Dimension (inch): 3.35" x 2.13" x 0.08"
3.35" x 2.13" x 0.08"